Description said blue and silver bulbs. When it arrived it had silver and PURPLE balls. Only reason I bought it was because it was silver and blue. Called customer service thinking for some odd reason it was a mistake. They were very helpful it sending me a new tree and paying for the shipping back for the wrong tree. New tree just arrived and they are purple as well, very bright purple. So be aware that you will not be getting silver and blue but silver and purple. Still pretty, but doesn't go with my color scheme. 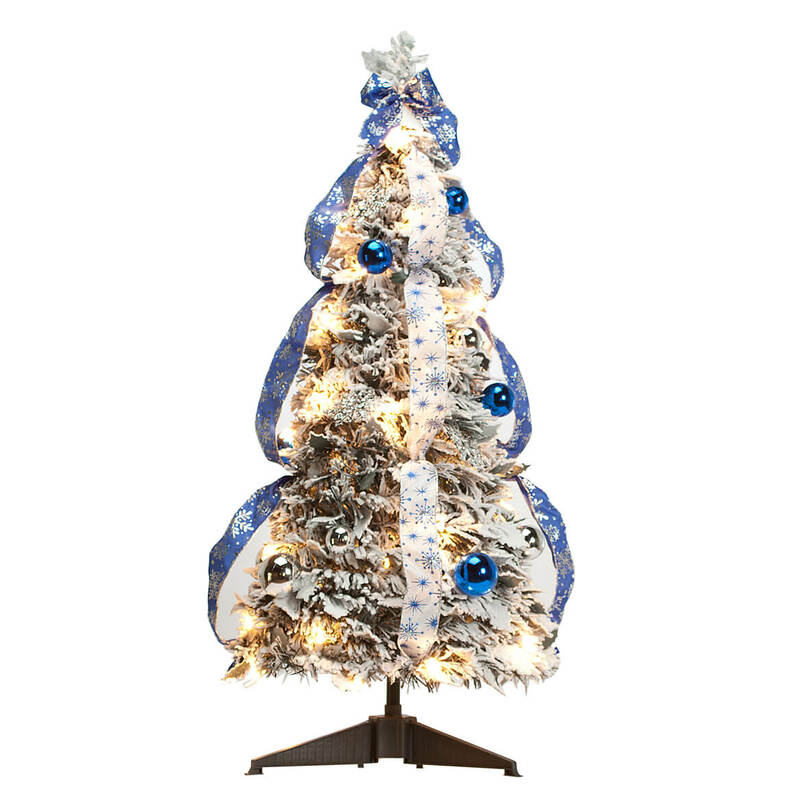 I never had a flocked tree before and the blue color goes with my home colors. Thought I would give it a chance and a home. I seen it on display and it was beautiful. BEST ANSWER: Thank you for your question. This is an indoor tree only. We hope this information will be of help to you. 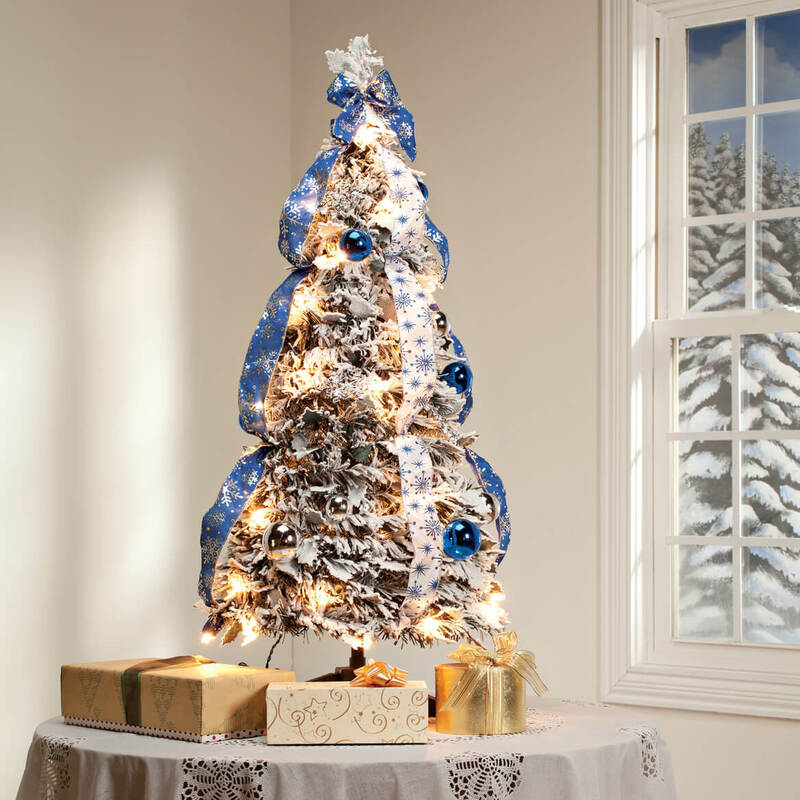 I wouldn’t put this tree outdoors for fear it would ruin the decorations. BEST ANSWER: Thank you for your question. Yes, it is decorated as shown. We hope this information will be of help to you.